If you live in or are travelling through the beautiful islands of Tonga and fancy a spin on the slots, the Internet offers a myriad of options. Read on to find out more about Tonga’s online gambling laws and learn how to play the slots for real money at the best online casinos accepting Tongan players. Are pokies the same as slots? As Tonga is a close neighbour to Australia, Tongan’s may be familiar with the term “pokies” which is the Aussie slang word for slot machines. Pokies means exactly the same thing as slots, so don’t let the lingo confuse you. Tonga is unique in that it is one of the few counties that seems to have little to no laws in place regarding gambling, both online and offline. It is generally understood that gambling is prohibited in Tonga, as there are no gambling facilities or casinos offered, but this is likely due to the strong religious beliefs of Tongans rather than any forbidding laws. Tongans are dedicated church-goers, with a majority of the population belonging to the Free Wesleyan Church of Tonga, the Roman Catholic Church, the Church of Jesus Christ of Latter-day Saints and the Free Church of Tonga, all which stand against the notion of gambling. In January 2017, a Native American international casino company, Red Warrior Entertainment, announced it had been granted a casino license from the Tonga government. The Exclusive National Master Gaming License would be the first of its kind issued from Tonga and covers all Class I, II & III Gaming, which would allow the license holder to offer casino games, lotteries and horse racing. After much public confusion and protests from church leaders about the license, the Tongan government confirmed the license would not allow Red Warrior Entertainment from offering slots, casino games or other forms of gambling in Tonga, revealing the license was issued only to allow the company to build a hotel and airport gaming facility. 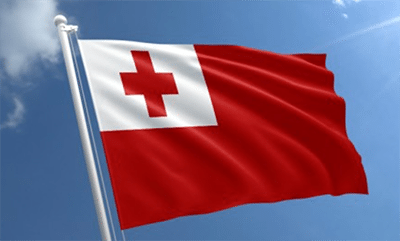 Whether this unprecedented gaming license will result in changes to the state of gambling in Tonga remains to be seen, but for now gambling in Tonga remains highly unregulated. Is it legal to play online slots in Tonga? 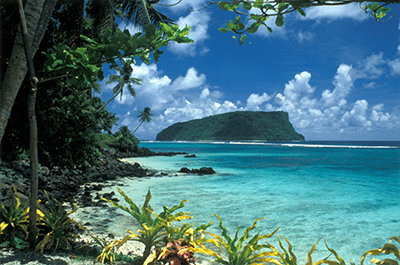 Due to Tonga’s lax gambling laws, online casinos located offshore happily accept players from Tonga as there are no laws preventing them from doing so. Likewise, Tongans wanting to try their luck playing slots online are free by law to participate. The Internet penetration rates in Tonga are quite low (estimated around 40%), so it is likely that online gambling simply has not become prevalent enough to warrant government regulation. Until that time comes, Tongan players and those located in the Tongan islands are free to play slots online, with plenty of choice when it comes to online casinos. While you won’t find any online casinos with licenses to operate from within Tonga, there are plenty of trustworthy offshore casino sites that cater to Tongan players. Tongans can trust online slot sites licensed by reputable gambling jurisdictions like the UK, Malta, Alderney, Curacao, Kahnawake, Gibaltar and Isle of Man, but should avoid any online casino if it claims to be licensed in Tonga as it will be unregulated and operating below-board. Please note that some online casinos are region-blocked to exclude players from certain countries. If you are unable to sign up with one of our recommended casinos, it is likely because it is no longer offering services to Tongans. For a full list of Tongan slot sites, refer to our casino table at the top of this page which has been geo-targeted to recognise your location and only offer sites that accept players from your country. You can use this table to read our detailed slow reviews of each venue, and to sign up for an account to claim an exclusive welcome bonus. To get around any region blocks or simply to take advantage of an extra layer of security, we recommend using a trusted VPN service when playing real money casino games online. Select a Tonga-friendly online casino like the ones recommended on our site. Sign up for an account by creating a user name, password and providing basic personal information. Make a real money deposit using a trusted payment method, while taking advantage of any welcome bonuses along the way. That’s it – you are now ready to choose from the hundreds of online slots and casino games available, all which are available for instant-play directly over your Web browser with no downloads required. Mobile slots at our recommended sites are also available, with games optimised for Android, iOS and Windows smartphones and tablets. For online casinos that accept Tongan players, it is unlikely you will be able to deposit or withdraw money using your local currency , the paʻanga (TOP). This still means you can play for real money, just be mindful you may incur some small currency exchange fees as your account is converted into a widely accepted currency like AUD, GBP, EUR, NZD or USD. The deposit options available vary between online venues, with common payment methods including Visa, MasterCard, Neteller, Skrill, Paysafecard and direct bank transfers.